Vietnam has been really famous in recent years for travelers. There are tons of articles and v-log that flood the internet. The number of tourists skyrocket from 2.1 million in the year 2000 to more than 10 million in 2016. That is an amazing jump in numbers. That is something we can understand after we had the chance to visit this beautiful country ourselves. Vietnam is suitable for backpackers, nature lovers, veterans, culture lovers, and for travel photographers, of course. Thanks to the beauty of nature this country has and the authentic culture together with the rich history of war. Travelers can travel freely in Vietnam since 1997. That makes tourism becomes important in Vietnam. Although this country considerably a new tourism destination in South East Asia, it really becomes a magnet for foreign tourists especially western tourists. Plus, it is a really cheap travel destination, even more for the western tourists whose country got a strong currency. Such a win. If you haven’t already, we had our travel journal from Ho Chi Minh City and Hanoi covering a summary of our trip for both cities. 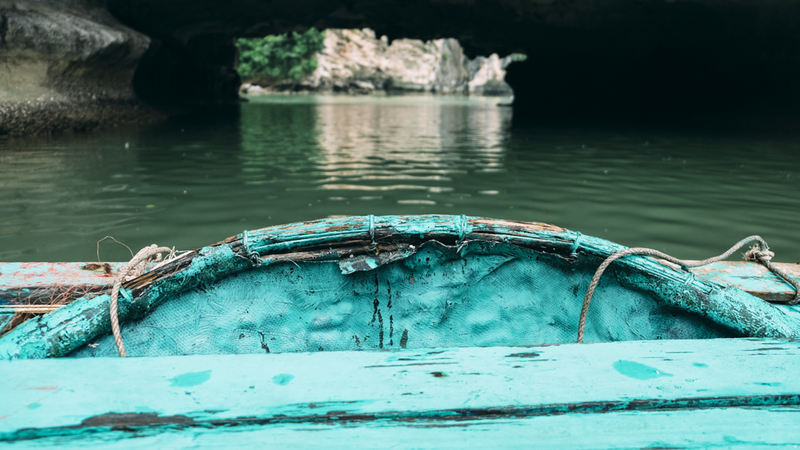 Another special dedicated post from Chu Chi Tunnel and Ha Long Bay also published to share some of the amazing experiences we had. Jump to those posts if you haven’t read it yet. Most of the thing about Vietnam that we want to share already written in the journal. In this post, we just want to compile some best places to visit in Vietnam. We hope this can tease your sense of wanderlust. Now, here are top 5 places to visit in Vietnam. 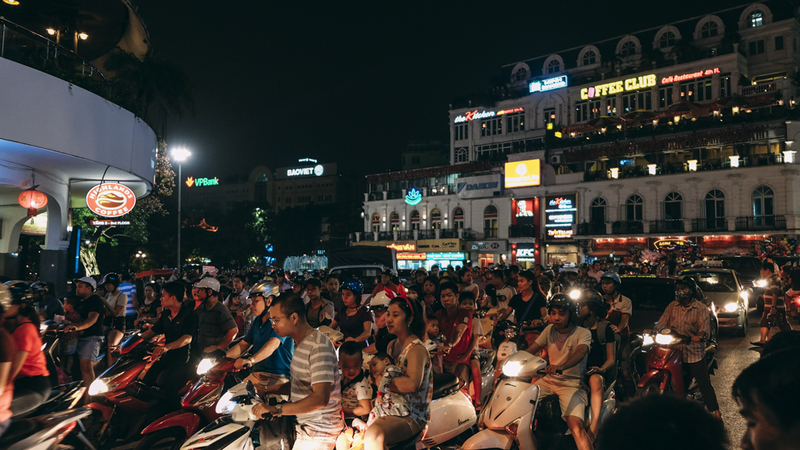 It is the biggest and busiest city in Vietnam. With nearly 10 million people live in this city. The city has become a favorite for western tourist who loves to travel to cities and enjoy the mix of the old culture as well as the modern lifestyle and nightlife. Despite the hustle and bustle of this city, it is certainly got a charm for mostly backpackers. You will definitely love the streets, the food, the people, and the bars. There are lots of places to drink in this city, so we would say this is a place to hang out. The top places to see in this city is the Ho Chi Minh Square, Ben Thanh market, Saigon Cathedral, Central Post Office, Independent Palace, Mekong River, Cao Dai Temple and Bui Ven street to enjoy the night. 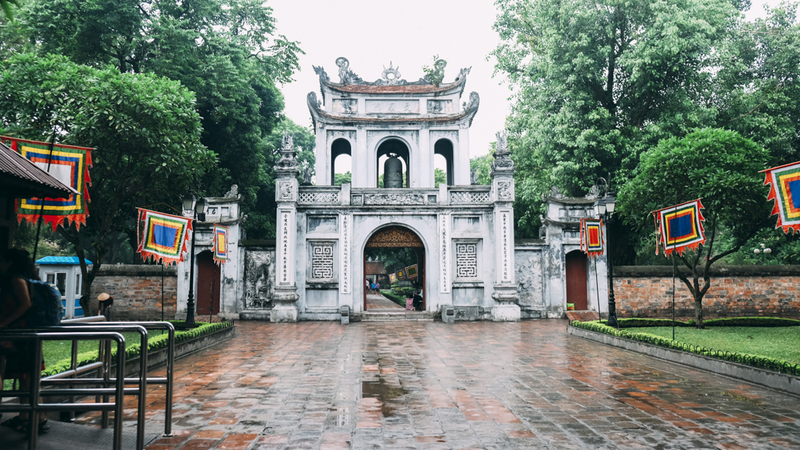 Read more about our travel journal from Ho Chi Minh City. For more picture from Ho Chi Minh City, you can check our travel journal for HCMC. Some of the images above (Bitexco & Mekong) belong to a friend of us, credit to Albert Lim. It took approximately 2 hours to get here from Ho Chi Minh City. Note that it’s much easier to just book a tour rather than going by public transport here. You can buy chu chi tunnel tour everywhere in hotel or travel agent. Usually, they will cost around VND 260,000 / person. Tourists who visit Ho Chi Minh City also usually visit Cao Dai Temple, about 60 miles northwest of Ho Chi Minh City. Cao Dai (a.k.a. Dao Cao Dai or Caodaism) is a syncretist Vietnamese religious movement with a strongly nationalist political character. Cao Dai draws upon ethical precepts from Confucianism, occult practices from Taoism, theories of karma and rebirth from Buddhism, and a hierarchical organization (including a pope) from Roman Catholicism. Cao Dai Temple was begun in 1993. Visitors are warmly welcomed at the Cao Dai Temple and may watch ceremonies and take photos from the galleries. However please consider to wear trousers or skirts covering the knee, remove your shoes before entering, and remain as quiet as possible during ceremonies. The noon ceremony always has the largest audience, since most visitors are day-trippers from Ho Chi Minh City. 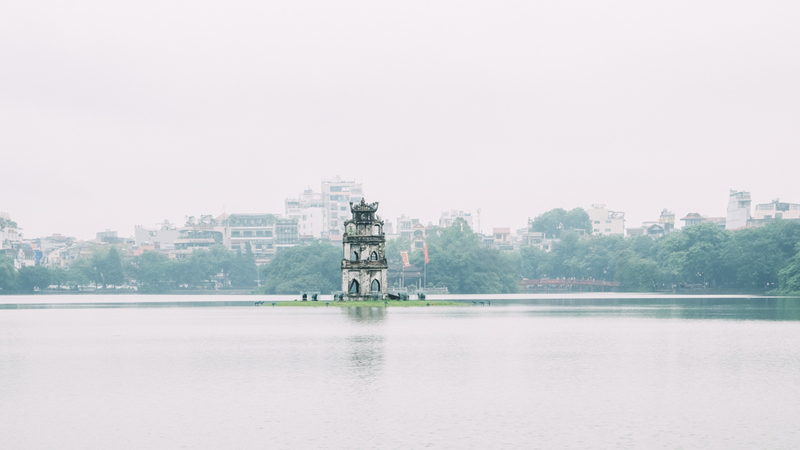 Hanoi is the capital city of Vietnam, located in the northern part of Vietnam. This is a city that you should not be missed if you want to experience the best of Vietnam. You can enjoy Hanoi’s food as part of Vietnamese culture. They certainly have the best food. Not just about food, but Hanoi is also a very nice city to chill. When you’re going in winter (start from December to February), the temperature can drop below 10 degree. Even when we’re going in September, which is in a transition from summer to fall, still the weather sometimes can be pretty cool. 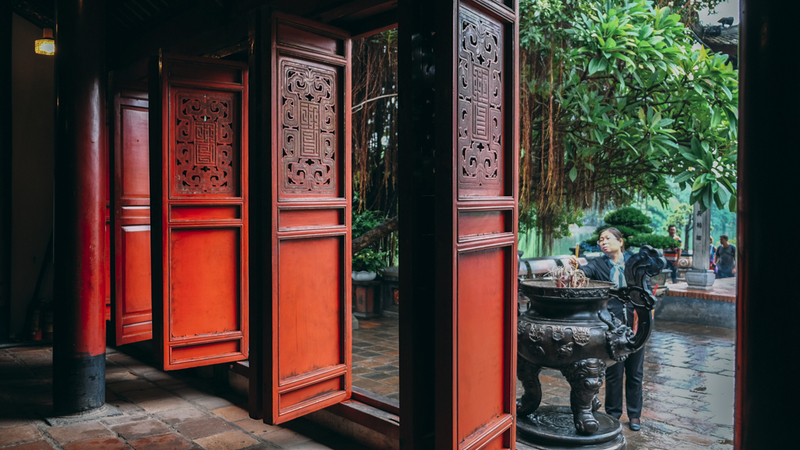 Some of the popular places for tourists in Hanoi are Old Quarter, Hoan Kiem Lake, Ho Chi Minh Mausoleum, Ngoc Son Temple, Temple of Literature, and some museums. 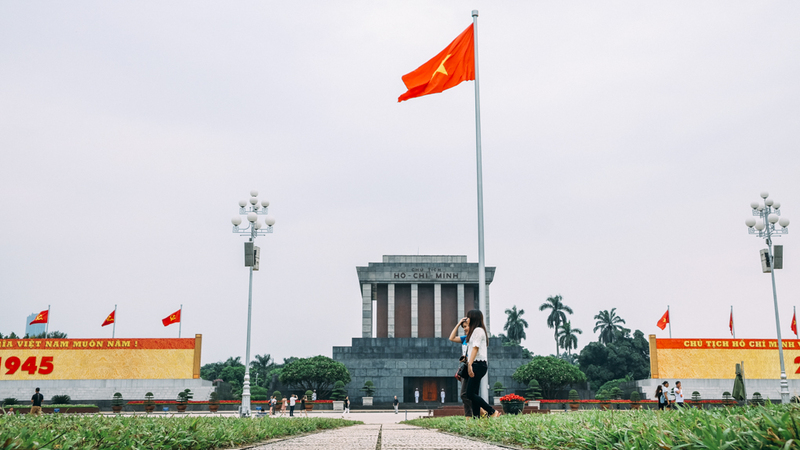 Almost every museum has an entrance fee, except Ho Chi Minh Mausoleum. However, it’s important to know when to visit the mausoleum because it’s different than any other place. Usually, tourists who visit Hanoi has a plan to visit Ha Long Bay as well. It’s a common thing tourists book a day trip to Ha Long Bay from Hanoi. Leaving to Ha Long Bay took 3 hours from Hanoi. It’s quite a long trip but trust us, it’s worth it. You can see more beauty of Ha Long Bay on our post here. You can go kayaking, scuba diving, swimming, explore some caves, lunch or dinner on a cruise, overnight stay to enjoy the sunset, misty moon, and sunset, etc. We book our day cruise in Ha Long Bay for USD 52. Price varies from as low as $30 to $200, depends on the cruise and the itinerary. But you can enjoy the same trip like us for only $43 using this Ha Long Bay Deluxe Cruise link. The next two destinations we haven’t had the chance to visit, but we certainly will when we hit Vietnam again. 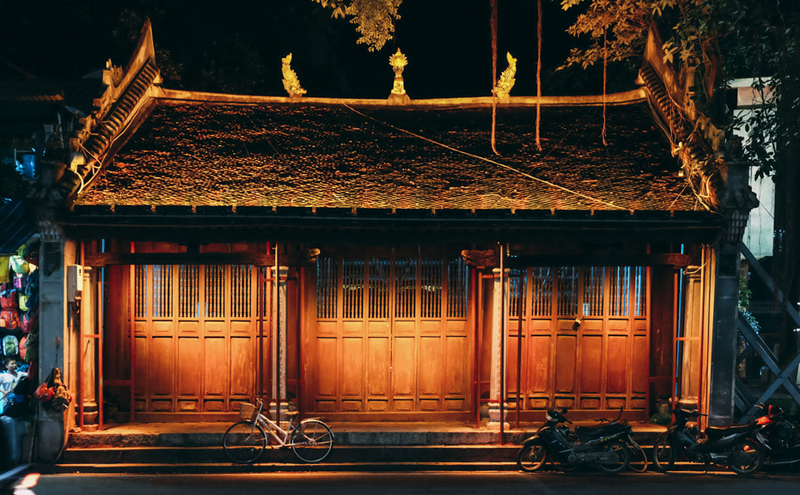 If you love taking pictures of old ancient look or very strong cultural feel, you’re gonna love Hoi An. It is usually called Old Town Hoi An. Formerly known as Fai-fo and has been noted since 1999 as a UNESCO World Heritage Site. You can certainly feel the authenticity of this old town day and night. Highly recommended. We didn’t have the chance to visit, though. But still, this is worth to be listed. We planned to visit Hoi An when we come back to Vietnam. The one famous Japanese Bridge in the city’s old town is a tourist magnet. If you ever see Vietnam advertised with a beautiful landscape of green paddy terrace field in the mountains, that’s Sa Pa. Located in the northwest Vietnam, one of the main market towns in the area. Also a very popular tourist destination in Vietnam. (Images for Sa Pa belongs to a friend of us, credit to Gabriela). Sa Pa is very well known of its beautiful natural geological landscape. It is also a very quiet mountain town and home to a great diversity of ethnic minority people. There are a lot of tour and travel agent selling Sa Pa trip. Check out this 2D1N Sapa Trekking Tour from Hanoi for $75 or just visit Sapa Bac Ha Market for $74. Hopefully, you enjoy your next trip to Vietnam. Be sure to check our travel journal from Ho Chi Minh City, Hanoi, Chu Chi Tunnel, and Ha Long Bay. We also did some review for our hotel in HCMC and Hanoi. If you’re looking for a place to stay in both cities, take a look. Until next post, bye! 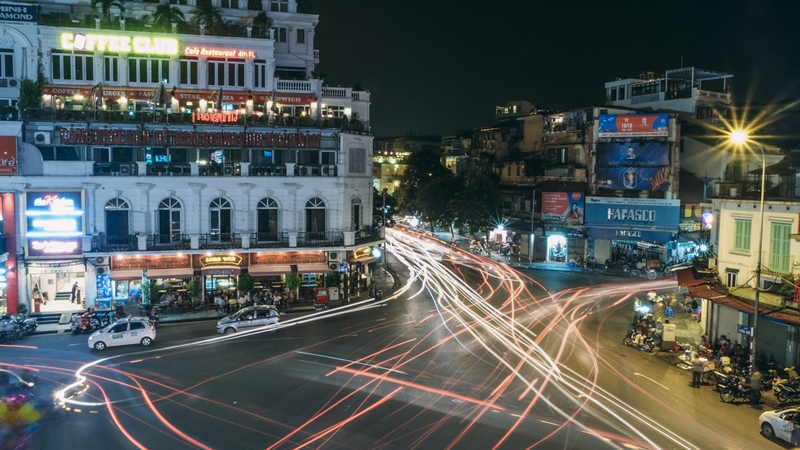 Book your next flight to Hanoi! Enjoy Ha Long Bay Cruise with a good price. Experience the war at Chu Chi Tunnel. If you love nature, you gotta love Sa Pa Trekking. You’re into history and culture? See if this Hoi An Full Day Private Tour is for you. Great price for An Nam Legend Hotel or other hotels in Hanoi. Stay connected, get your WIFI hotel pick up in Vietnam. Absolutely love your pictures and suggestions. I have just booked my first trip to Vietnam. Hoping to go to Hoi An, Sa Pa, Ha Long Bay and Hanoi. Can’t wait. Thanks for commenting. Awesome, you gotta love Vietnam I believe. Just make sure you have everything prepared well, and be careful with tourists scam in Vietnam. We hope you enjoy your trip. Good luck!